After experimenting with dedicated VR-focused browsers for months, Mozilla has finally launched v1.0 of Firefox Reality, which is custom built for browsing on VR, AR and MR headsets. The new browser is completely open-source and, is compatible with a number of existing VR platforms, including HTC Vive, Oculus Rift and Google Daydream. It is already available in the Viveport, Oculus and Daydream app stores. 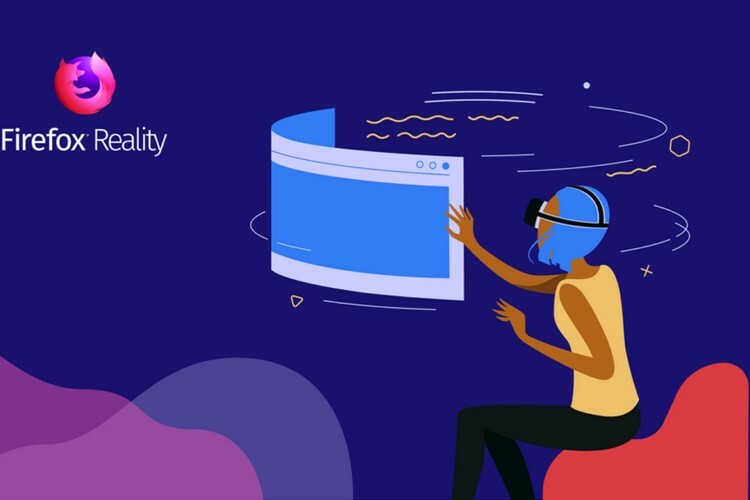 Based on the existing Firefox web technology, Firefox Reality is enhanced with Mozilla’s experimental web engine, Servo, ensuring that the new software gets the best of both worlds. While the Firefox code brings virtually universal compatibility (not to mention the performance benefits of Quantum), the Servo web engine brings new designs and technologies for interacting with the immersive web. In a blog post, Mozilla assured users that the new software will have the same core features as the traditional Firefox browser, making it fast, feature-filled and safe. According to the organization, “Firefox Reality brings to the 3D web and immersive content experiences the level of ease of use, choice, control and privacy they’ve come to expect from Firefox”. One of the standout features of Firefox Reality is the ability to search the web using voice. As text input continues to remain a chore for virtual reality, Mozilla believes that the built-in support for voice-search will prove to be “a great first step towards solving that”. The company further says that it is “working with creators around the world to bring an amazing collection of games, videos, environments, and experiences that can be accessed directly from the home screen”. One thing worth noting here is that dedicated web-browsers for VR headsets isn’t really something new. Oculus has one for the Gear VR and Google has an experimental version of Chrome with VR support for Daydream headsets, but both of these browsers suffer from one major issue — cross-platform compatibility. Problems that Mozilla’s browser doesn’t suffer from.